It’s been said a destination photo is worth a thousand words, so you can image a film is just like being there. The exciting Los Angeles Brazilian Film Festival 2010 (LABRFF) stirred up recollections of my fabulous trip to Brazil and memories of Rio de Janeiro, known as the “Marvelous City,” right here in the “City of the Angeles. LABRFF,now in its third year has caught on with the Brazilian community, celebrities from Brazil and foreign film lovers. 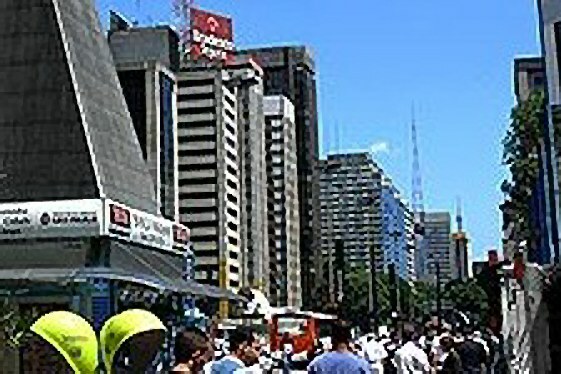 Brazilian films mirror many lifestyles and locales with insights into high life, low life and slums of its many cities. My visit to Brazil was a real travel adventure and a treasured memento. Rio is like no other city in the world; its harbor is a breathtaking phenomenon and one of the Seven Natural Wonders of the World. This city combines a pulsating metropolis with distinctive resorts. Just watching a Brazilian film causes your heart to beat faster. LABRIFF was a five-day whirlwind of over 6 films combining drama, comedy, short films and artistic documentaries, plus informative seminars and colorful parties with the purpose of showcasing the art and talents of Brazilian filmmakers. Two comedy movies, filmed in Rio, were audience favorites: Elvis and Madona and In Therapy. My own visit to Brazil was quite a whirlwind, and it was set up by my travel agent cousin in Mexico. 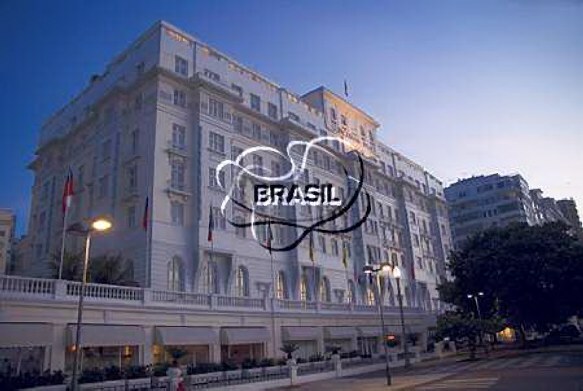 Since it was a Girlfriend’s Getaway, he booked us at the best in Rio: the exclusive and legendary Copacabana Palace, Avenida Atlantica 1702, Rio http://www.copacabanapalace.com.br, a beautiful old world hotel; its designer was renowned for the Negresco in Nice and the Carlton in Cannes. All were fabulous palace hotels, and I enjoyed residing at all three. My friend, Myrna, was a cousin of the Brazilian icon and actress Carmen Miranda, and we often caught her films, and this really peaked a longing to visit Rio. Our first night escapade was linked to Myrna’s accident in Argentina, toppling in the street in Buenos Aires, garnered her a cast from foot to knee. While sipping caipirnhas (Brazilian liquor with lime, sugar & ice cubes) in the Copa Bar, two Cariocas-Brazilian guys, Claudio and Jose Carlos, residents of Rio, caught our attention, since one had a broken arm and was also in a cast. Before we knew it, they joined us, and we were attempting to speak Portuguese intermingled with Spanish. We answered, “Yes, Of Course,” when they asked if we wanted to go to samba and hear some music. The next evening a car picked us up and delivered us to an exclusive residence in Leblon, where the wealthy reside in Rio. This turned out to be the family home. An orchestra was tuning up to play in the spacious living room. Claudio’s mother was a violinist with the Rio Symphony Orchestra; it was here we enjoyed a concert and lavish party and later that night a samba club. In the days to follow, we had a private car take us to visit the sights of Rio. My experiences included going to samba schools where we watched groups prepare for the famous Carnival, shopping, dining, watching kite flyers and volleyball on the Copacabana Beach, and enjoying hanging out at Ipanema Beach. My highlight was visiting the factory of the famed jeweler and gem cutter, H. Stern. It was amazing to watch gem stones cut and faceted into gorgeous jewelry. Just like Enterprise, they pick you up and bring interested tourists to their factory. I couldn’t resist a purchase of an amethyst pendant and learned that the deep purple are the most valuable. I continued marveling over H. Stern’s jewels that I have seen throughout the world. Our new friends kept us busy, and we enjoyed an insider’s view of Rio. Corcovado – An amazing train whisks you up to the Stature of Christ the Redeemer that overlooks the harbor of Rio. it was breathtaking to look down and just be there. Maracana Stadium- It’s the largest Stadium for football/soccer in South America. Museum hopping to historical buildings. 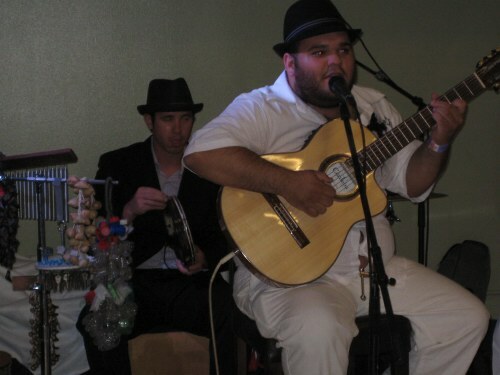 Take a samba class and check out the nightlife in Zona Sul. Play volleyball on Copacabana Beach. Bargain shopping in the streets. Shopping at the Sunday Hippie fair in Ipanema. Brazilian films are often surreal and thrilling, winner of Best Film of LABRFF was Cabeca a Premio, the story of a wealthy woman and pilot and their impossible love. Another moving film was Time of Fear, filmed in Sao Paulo and its prison system: a young man is imprisoned for killing a stranger with his car; his mother (Andrea Beltrao Winner of Best Actress)) fights to free him with the help of a lady boss (Denise Weinberg Winner Best Supporting Actress). Eye of the Storm garnered Best Screenplay based on revenge. Beginning with murder the story flashes back to how it all happened. Festival Jury President Fernando Meirelles introduced his Academy Award nominated City of God, for which he received critical acclaim as director in 2003, dealing with the violent gangs of the suburbs near Rio; it was a part of the Rivival Brazilian Cinema. DZI Croquettes, a tie for Best Documentary, traced the history of 13 male performers who portrayed ultimate women in dance, comedy, costumes and entertainment. Liza Minelli tells in the film how she introduced them in Paris, and the co-winner The Man Who Bottled Clouds chronicled the music and life of Humberto Teixeira, who paved the rhythms of Brazil with music he wrote for singer Luiz Gonzaga, while he was a lawyer, composer and politician. Journalist Nazareno Paulo and producer Meire Fernandez created this exciting film festival. Bravo to the cinematographers who captured the likeness of Brazil in film and enhance the stories through the camera. Lights, cameras and glamour added to the momentum, which took place at the Los Angeles Landmark Theaters. Other places worth a visit are Bahia, Brasilia (capital city), the busy metropolis of Sao Paulo and the dramatic Iguassu Falls. 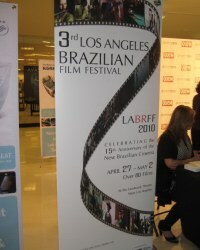 If you don’t have a chance to visit Brazil, then come to LABRFF 2011. Muita obrigada (thank you very much) LABRFF for a great film festival with lots of great films, good company, spirited parties and memories of Brazil.